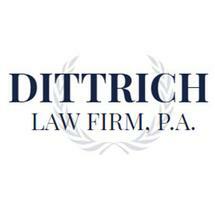 Since 1996, the Dittrich Law Firm has been a versatile and principled resource for people facing a range of legal challenges in the Twin Cities metro area. Attorney Gregory Dittrich has well over 20 years of service as a highly engaged and client-focused family law practitioner. Dedicated lawyer Gregory Dittrich will give your case the attention and energy it deserves. We want to help you make sound decisions and pursue positive outcomes on essential issues such as child custody and parenting time. We also work hard to achieve fair, efficient resolution of pivotal financial issues like property division and spousal support. In all situations, we are prepared to recommend solutions that make sense for you. Our St. Paul law firm most frequently assists people in the eastern Twin Cities area, applying our deep knowledge of the family law courts in Ramsey, Washington, Anoka, Dakota and Hennepin counties, including the cities of Woodbury, Oakdale, Stillwater, Maplewood, White Bear Lake, Anoka, Fridley, Forest Lake, Eagan, North St. Paul, Hastings, St. Paul, Minneapolis and Inver Grove Heights. Other clients, referred to us by satisfied clients or drawn by Attorney Dittrich's reputation, come to us from elsewhere in Minnesota. When you need a competent, compassionate and Christian-based Ramsey, Dakota and Washington County divorce lawyer, please call or e-mail us today for a free initial consultation to discuss your specific situation and legal needs.